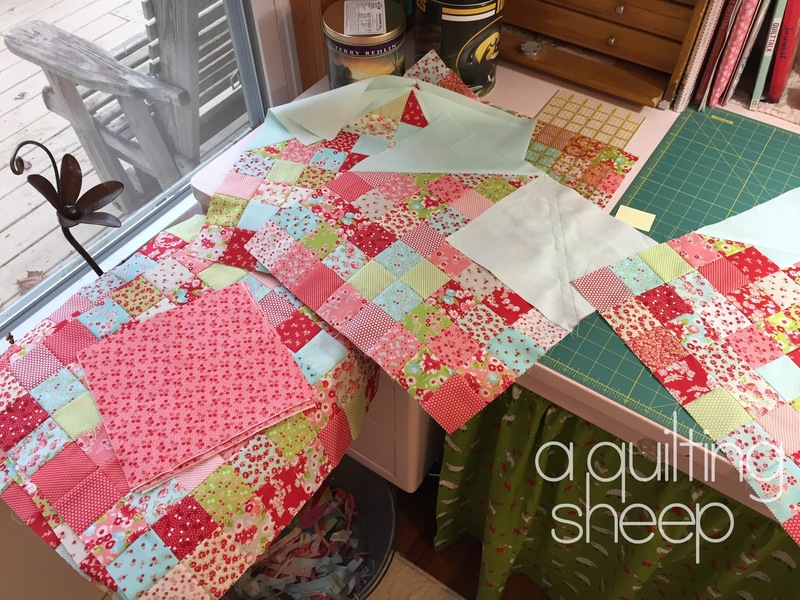 A Quilting Sheep: Power Sewing! 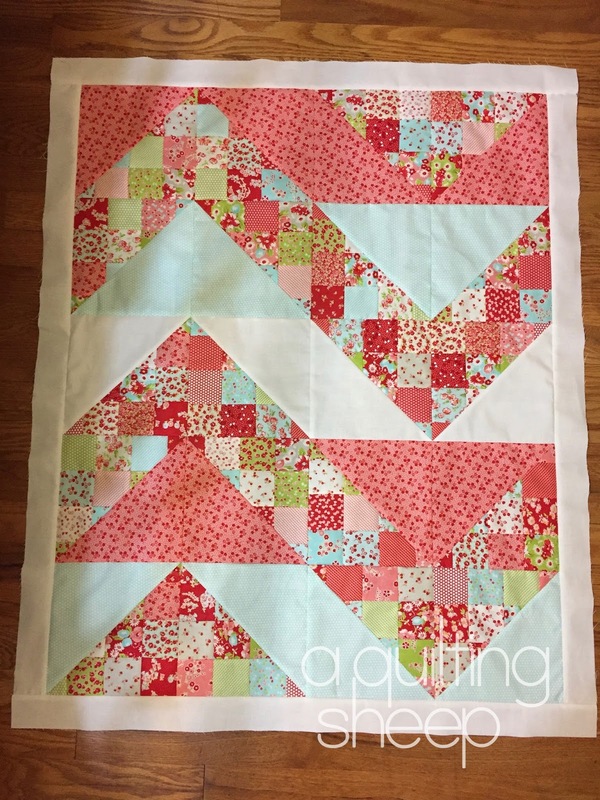 As soon as I got that done, I grabbed up a Little Ruby jelly roll and began on the Patchwork Swoon quilt. As you can see, the blocks are pretty big, so the left over half square triangles were huge! This quilt pattern works up really fast and I think it's a great use for a jelly roll. It would be pretty made up in many different fabric lines. Have a happy Tuesday and fall, everyone! Nice quilts. Always nice to get a bonus quilt out of it, too. You really were power sewing - making up for lost time :)! These quilts are gorgeous!! I keep looking at the big Swoon Quilt and wondering if I should make it - so nice to see yours all made up! Beautiful!! These are all so pretty! Thanks for sharing the photos of your projects Amy. Oh those are all so pretty. 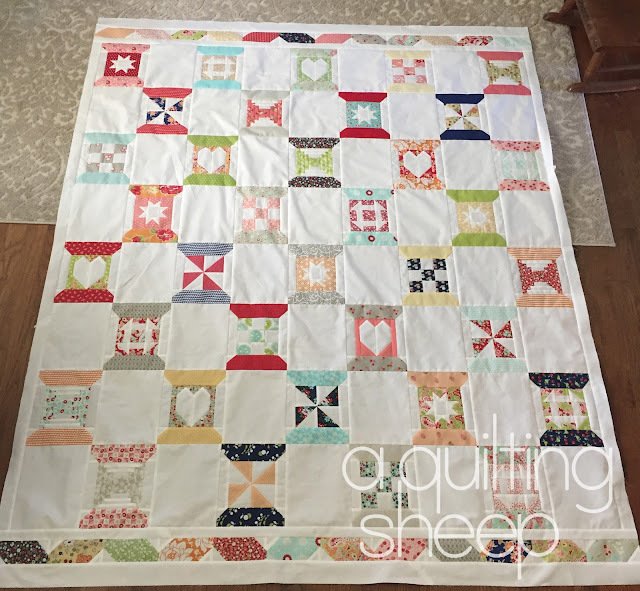 Love the patchwork swoon! You really did some power sewing. Maybe that was the smoke I was seeing in the sky from way over here. lol! Your quilts are sew pretty. Love how you made a baby quilt out of the left overs. Hope you have a wonderful day my dear. wow you've been busy! I love that baby quilt! 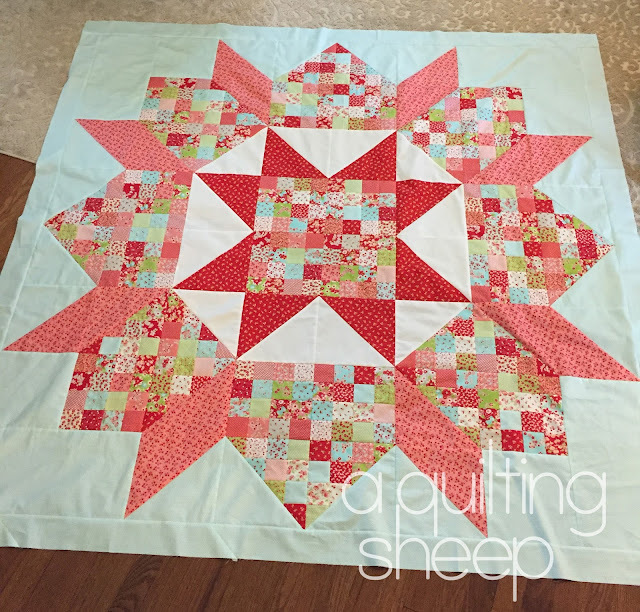 Your Patchwork Swoon quilt is INCREDIBLE!! Love it! - and then having the bonus of a baby quilt from the leftovers? Inspired! I'm in the same boat as you with the quilt tops / flimsies... 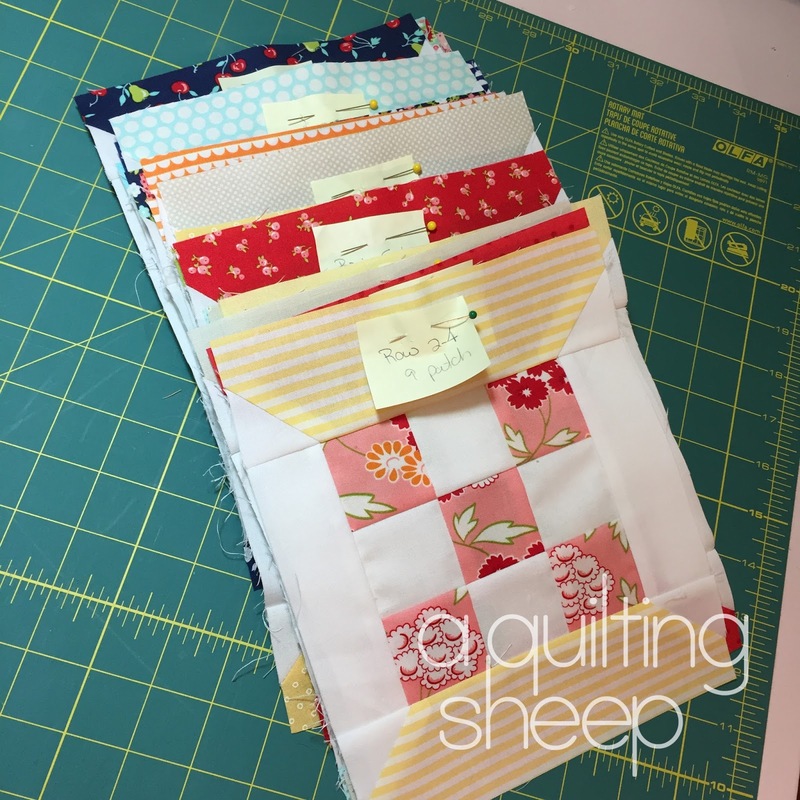 They're so fun to make - the backings and quilting not as much fun - and there's always something new to inspire me...!